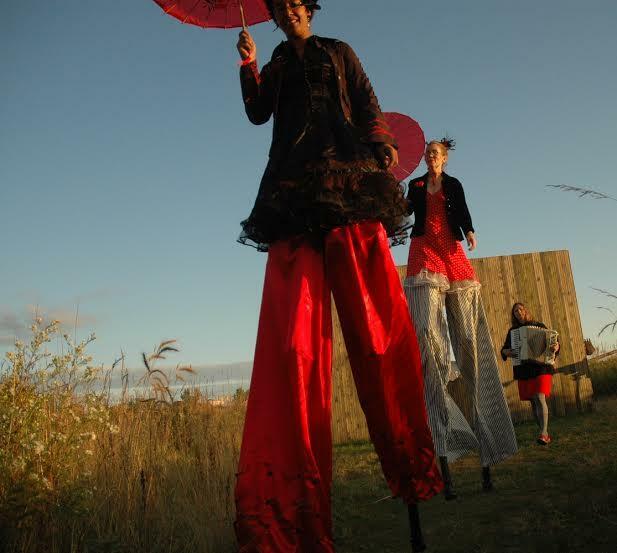 Stilting at Franconia Sculpture Park. Photo by Munir Kahar. 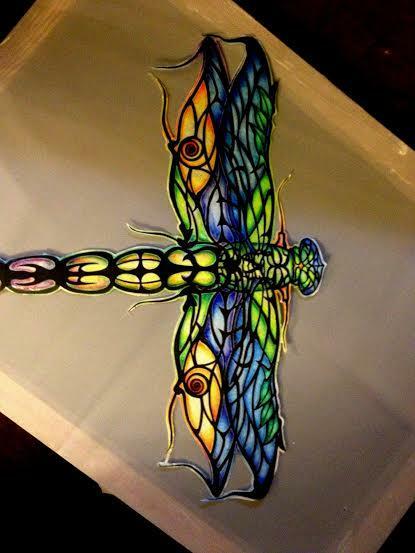 Dragonfly shadow puppet created by Munir Kahar. Photo by Munir Kahar. Backstage shadow projections for Persephone: Reign of Fire, with the Infiammatti Fire Troop. Photo by Brad Dahlgaard. Dowsing Wild Beauty is a stilt performance with shadow puppetry and light projections, transcending a spectrum of imagery from modern city to natural(wild) beauty, and utilizing metaphors of the Mississippi River as a watershed and migratory corridor. We are interested in the relationship of flow, whether with the river or the bikeway. The projection surfaces will include costumed stilters, the bridge itself, and large panels stretched between arches underneath the bridge. There will be shadow shows from dusk ’til dawn, reflecting themes of the modern city and natural (wild) beauty. 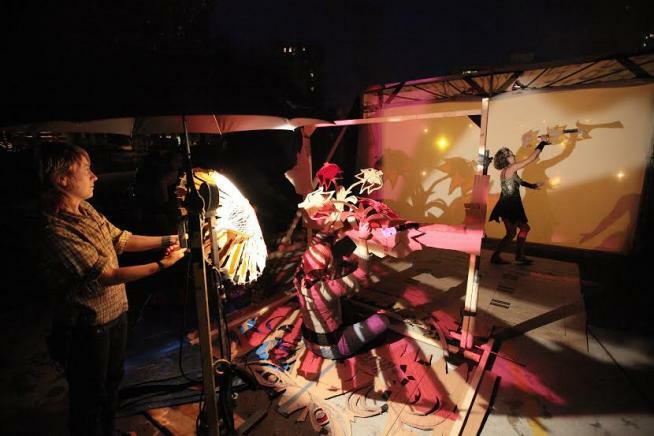 Special stilt/shadow performances at 10 p.m., Midnight, and 2 a.m.